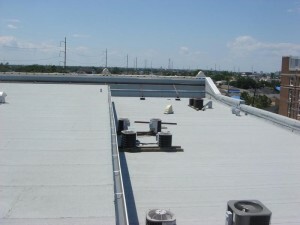 Can Roof Inspections Reduce Your Business' Utility Costs? Can Roof Inspections Reduce Your Business’ Utility Costs? More than likely, your business elected to go with the roofing solution that it has in order to keep its utility costs down. Such roofing solutions offer a wide variety of benefits, like UV-light resistance, which can serve to keep your business cooler than it otherwise might be during the hot summer months. In addition to this, your roof protects many of the utilities that your business relies upon for daily operation. In order to get the most out of your roof’s benefit to your utility costs, you have to keep up with regular maintenance. Just like anything else, your business’ roof is going to degrade over time, and as it does the reduction to your business’ utility costs degrade along with it. This is why regular roof inspections and repairs are paramount to preserving your business’ bottom line. Even though our winters are cold and harsh by northern standards, we still deal with our share of cold, moisture and ice. Imperfections in your roof that allow moisture through can be a serious problem this time of year. In addition to creating leaks, the expansion and contraction of freezing and thawing water that manages to get past your roofing system can exacerbate problems, creating larger and larger holes and leaks. When the summer months come back around again, you’ll find that the cooling effects of your roofing system will be dramatically reduced as a result. Because of this, your HVAC system will have to work overtime, and everyone knows how much that can cost! Regular roof inspections can identify these issues before they happen, and save you from this outcome. A commercial roofing system that offers a cooling benefit needs to be regularly maintained in order to work as it’s supposed to. If, for example, the roof becomes covered in debris and grime, then the cooling effect that it offers is dramatically reduced. In addition, weathering can also cause parts of the roofing system to crack, tear or peel up, depending on what roofing solution your business has employed. Problems like these also reduce the cooling benefit (and the benefit to your utility costs) that your commercial roof offers, and they will also serve to create leaks. Regular inspections can identify these potential problems and address them, saving your business a significant amount of money in the process. Between your commercial roof and your ceiling, there’s a lot of different electrical equipment that your business relies upon, such as your lighting and HVAC systems. If moisture is allowed to get through your roof and onto this equipment, the results can be quite problematic. At best such moisture will prevent these systems from operating at peak efficiency, at worst it will seriously damage the equipment or break it, leading to costly utility repairs. Again, regular roof inspections and prompt repairs can obviate this problem and save your business a tremendous amount of money. Can I Perform the Inspections Myself? There’s certainly nothing preventing you from doing so, but it’s important to remember this: While you may be able to identify some issues with your roof that are affecting your utility costs, you won’t be able to identify all of them. So, be sure to hire a professional roofing contractor who can perform regular inspections of your commercial roof at least twice a year, if not more often. While having these inspections conducted will be something of an expense, it will be significantly cheaper than an increase to your business’ utility costs.